Ashford & Simpson may have gotten their start at Motown, but they really found their groove at Warner Brothers – as you'll hear on this massive collection of tracks from their landmark late 70s years at the label! Even many decades later, the strength of this music is undeniable – a careful blend of soulful roots and upbeat rhythms – yet all in ways that never fall into standard disco cliches of the period! 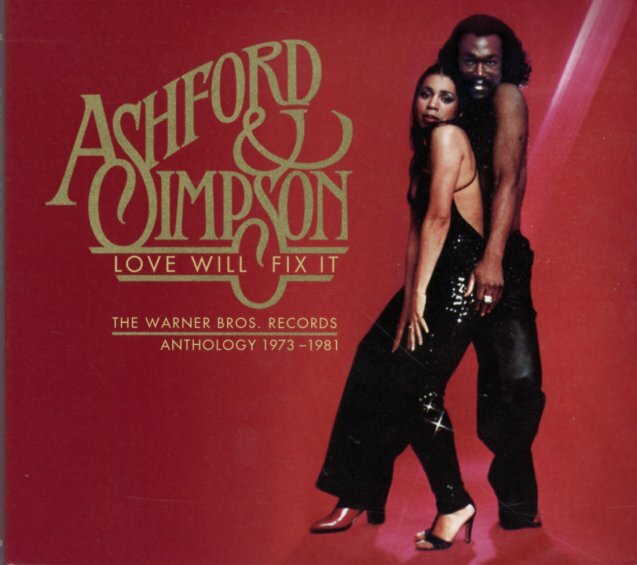 The Ashford & Simpson groove is a really unique one – always deeply soulful, even when well polished, and carefully put together with some of the best studio elements the pair could get their hands on – then produced to perfection with a sparkling sound that's years ahead of its time. This 3CD set is the best we've ever seen to look at their years with Warner – as it features a total of 47 long tracks in all – including some rare singles and unusual mixes too! Titles include "I'd Know You Anywhere", "Bend Me", "Gimme Something Real", "Somebody Told A Lie", "Send It", "So So Satisfied (single version)", "Top Of The Stairs", "Bourgie Bourgie (inst)", "Main Line", "Everybody's Got To Give It Up", "Sell The House", "It'll Come It'll Come It'll Come", "Ain't Nothin But A Maybe", "It Seems To Hang On", "Is It Still Good To Ya", "Ain't It A Shame (long version)", "The Debt Is Settled (unreleased long version)", "Nobody Knows", "Found A Cure", "Crazy", "Happy Endings (single)", "Live Medley", "It's The Long Run (single version)", "I Ain't Asking For Your Love", "Get Up & Do Something", "Found A Cure (Tom Moulton mix)", "Love Don't Make It Right (John Morales M+M disco mix)", "Stay Free (groove line disco mix)", "Don't Cost You Nothing (12" disco)", "It Seems To Hang On (12" disco)", "Bourgie Bourgie (Joe Claussell's classic mix)", "Over & Over (12" disco mix)", "Tried Tested & Found True (12" disco)", "Flashback (12" disco)", "One More Try (12" disco)", and "Tried Tested & Found True (Mike Maurro's inst reprise)". © 1996-2019, Dusty Groove, Inc.